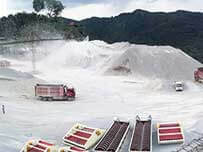 In the sand washing plants, sand washing machines are specially used to washing sand and removing the dust and impurities from sand, then to get cleaner and high quality sand for construction. 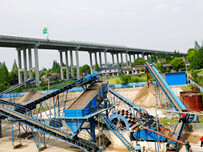 So the sand washing machine has gradually become an important equipment for the sand production line. 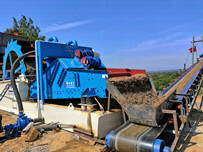 Then how to operate and maintain the sand washer machines? 1.Before installation, check that all parts are complete and damaged. 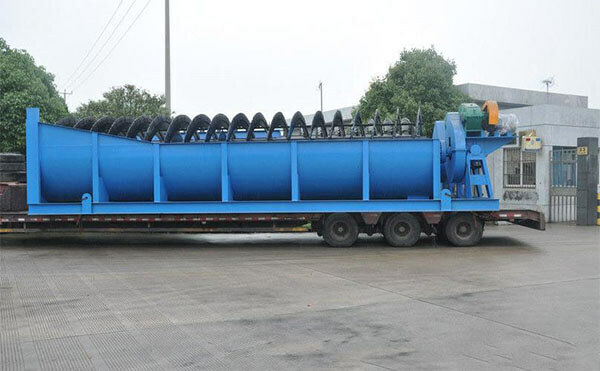 2.The basic construction drawing of sand washing machine should be designed according to the specific conditions of working site, and the sand washing machine should be firmly installed on the solid concrete foundation. 3.When installing spiral sand washer, the tilt angle must be ensured according to the requirements of installation drawing. 4.The motor of sand washer is mounted on the guide rail to adjust the tightness of belt. The pulley and motor pulley should be parallel when installed. 5.After adjusting according to the above requirements, turn the rotor disk a few turns to check for stuck or collision. 1.After the motor is started, the sand washer should run smoothly without abnormal vibration. 2.The bearing temperature can not exceed 35 °C. 3.For operation 2-4 hours, and the connection is checked for looseness and adjustment. 4.Checking if there is loss connection during the operation for 2-4 hours. If there is, adjust. 1.The sand washing machine can perform the load operation test on the basis of good unload test operation. 3.Determine the actual power of motor without abnormal fluctuations. 4.The load operation test needs to be continuous for 5-6 hours. After the operation is confirmed to be normal, it can be officially put into operation. 1.Before starting the sand washing machine, check whether there are any debris in the drain hole and clean it in time to prevent drain hole from being blocked. 2.Carefully check if all fasteners are fully tightened, especially new sand washing machine. 3.Check if the lubricant meets the standard. 4.Check if the belt of sand washer is good. If there is damaged, it should be replaced. 5.Check if the guard is good. If it is found to be unsafe, it should be removed in time. 6.If abnormality is found after starting, the sand washing machine should stop immediately. And start after the fault is removed. 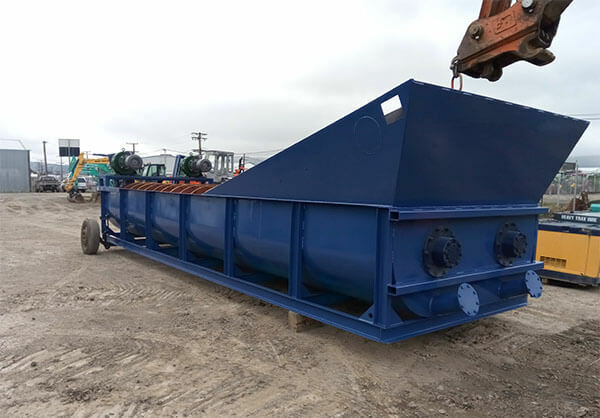 7.The sand washer allows starting without load. 8.When washing sand, the amount of water should be appropriate, not only to clean the sand, but also to prevent the sand from overflowing along the slot. Pay attention to evenly adding when feeding, too much will easily cause the machine to be damaged due to overload, too little will affect the output. 9.When stopping the sand washing machine, it should be carried out in the order of the process. It is forbidden to stop the sand washing machine or continue feeding after the machine is stopped. 1.Bearings are the most vulnerable parts, so regular maintenance is required, and regular oiling increases bearing life. 2.The gearbox should be cleaned and changed after 3-6 months of operation. The bearing housing needs to be replaced with new grease every 6-12 months. 3.In daily use, always pay attention to the noise of machine; observe the operation and working condition of the screw shaft, V-belt, sealing device, water pipe and other components at any time; check whether the motor and the gearbox are overheated, whether the bolts of each part are tight, etc. 4.Electrical equipment for large sand washing equipment must have a reliable grounding device. Always check the motor wiring for wear and leakage to avoid accidents. 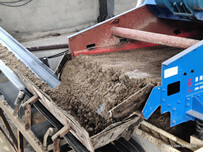 5.The seasonal maintenance of sand washing equipment is also important, mainly to replace oil, fuel, antifreeze, and add refrigeration facilities. 6.When the sand washing machine is running, it is strictly forbidden to stand by the side, touch the body by hand, adjust, clean, repair and other operations.